What does an animal behavioural specialist do? Would you make a good animal behavioural specialist? Take our career test to find out how you match with this and over 800 other careers. What is an Animal Behavioural Specialist? What is the workplace of an Animal Behavioural Specialist like? An animal behavioural specialist studies a variety of animals, noting their behaviour in different environments and how their behaviour may change depending on the environment, hormonal changes, physical and mental changes, and many other factors. There are many sub-types of animal behavioural specialists, spanning many areas of behaviour sciences, and each sub-type focuses on its own set of criteria for study. An animal behavioural specialist's duties can include caring for animals in a zoo, shelter, or lab, diagnosing behavioural problems of family pets, rehabilitating rescued dogs, cats, or horses, and aiding in scientific research. 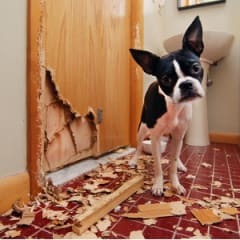 Some of the behavioural problems that may be diagnosed are: separation anxiety disorder (a common disorder for abandoned pets), dominance, aggression (found in many dogs that are rehabilitated after being seized from fighting rings), fear (often found in abuse cases), bucking (commonly caused by back pain), head tossing, and spraying (territorial marking commonly found in multi-cat homes). - the study of an animal in order to verify links between genetic or environmental factors and the behaviours they cause. Controlled experiments may be used to determine these connections, be it in a lab setting or a more natural, but controlled setting. The previously mentioned wild horse example would fall into the category of ethology. - the study of how an animal adapts to their environment, much like a specialist in ethology would. Through time-based observation, they note how and why an animal's behaviour changes, and what helps the animal to survive in the environment it is placed in. - the study of the similarities that govern all creatures, rather than just one particular species. The specialist is watching for common links between species that link disease, migration, intelligence, and even reproduction. These specialists use many methods from other fields of behavioural science. 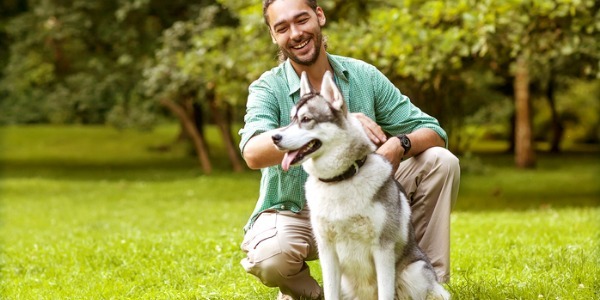 Are you suited to be an animal behavioural specialist? Animal behavioural specialists have distinct personalities. They tend to be investigative individuals, which means they’re intellectual, introspective, and inquisitive. They are curious, methodical, rational, analytical, and logical. Some of them are also artistic, meaning they’re creative, intuitive, sensitive, articulate, and expressive. Does this sound like you? Take our free career test to find out if becoming an animal behavioural specialist is right for you. Animal behavioural specialists can be found worldwide and the workplace ranges from dog training facilities to marine facilities with stations all over the world. Many animal behavioural specialists become trainers, working in fields such as dog training, horse wrangling, and as zoological trainers. Other areas include researchers that study through the aforementioned marine stations on the ocean. These behavioural specialists study the effects of many factors on marine life, taking note of disease, feeding patterns, and mating patterns of several species of marine life. A growing number of animal behaviourists work in government laboratories or in private businesses. These jobs involve health-related research, such as a drug company conducting research on the behavioural effects of new drugs on animals or examining the links between animal behaviour and disease.